Every new year I scribble down a few wishes to send through the universe. I have had incredible luck with writing down my wishes until last year. 2008 was a bust really. The soul mate never arrived or if he did he managed to get occupied with other things. The only wish that came true was a Sephora store for the fabulous blogger Grayburn. This year I am slightly bitter about my lot in life but will plug along with this wish business. 1. I will not wish for a soul mate. This year is all about transformation of the body and soul. I hate bringing up weight loss because it never seems to go very well. But a look and mind overhaul might be the best recipe for a failed crush and low spirits. My only goal is to look improved and different by 2009. I want it and hope everything falls into place. 2. I hope to travel this year. I still want to visit Japan and hope that I can go back to Paris. 3. 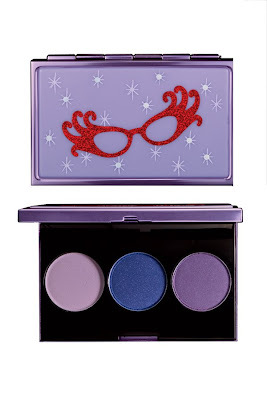 That Lancome Erika F eyeshadow makes it way back to US shores. 4. To learn how to walk successfully in high heels. This is more of a mission really. I want to be Dita-like in 2009. 5. I guess I better learn how to drive an automobile. This will require someone dragging me kicking and screaming to the local DMV. 6. A liner that survives on my waterline. 7. To learn french. I can not pronounce half my perfume collection. 8. To apply false eyelashes like a professional. 9. To meet Pat McGrath. I just love her. I want to take pictures of her traincases. 10. That Gossip Girl writers put us out of our misery and finally have Chuck and Blair get together. Post your wishes in the comments. 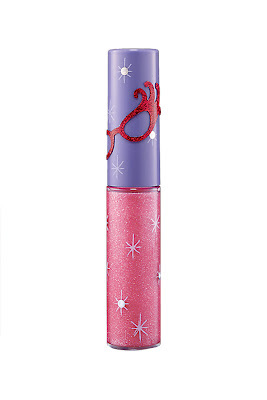 You can wish for world peace or a long lasting lip gloss. I hope 2009 brings peace and joy to Blogdorf Goodman readers. Thank you for reading and making this a wonderful place to escape to! You're looking at the most elusive of products, the Limited Edition Wet 'n' Wild Mega Eyes Creme Liner. It took me weeks of searching drugstores and swap lists, and thanks to my buddy Andrea, she finally was able to obtain one (used) for me. Thanks, Andrea! You'd think this little pot would not be so hard to find, but evidently only a few stores had them, and only two of each of the two colors, Black and Eggplant. It didn't even matter to me which one I would find, I just wanted to be able to review one of them. Andrea was able to get the Eggplant color for me. The little pot looks like a clear plastic spaceship with a rounded bottom. Unless you want it to roll around your vanity table like a toy top, this product gets stored on its lid. The color of the Eggplant is a beautiful, very darkened blue-toned plum, a true Eggplant shade with minimal red tones. I can't say it has shimmer in it, but it does have a metallic appearance. I set out to try it, ignoring the fact that it was a used product and I could see someone elses' brush lines inside the pot. I'm not too squeamish about this kind of thing, so I proceeded. The first thing I noticed when I opened the lid was that there was a big crack across the entire product contents. I wonder if the swapper had left it open and it dried out, or if maybe the fit of the lid is not so great, or if the plastic jar had something to do with it. The product itself had a short 70 mile journey through the US Postal System to arrive at my door. Maybe it was the weather. And maybe all of these things factored into the density and stiffness of the product itself. I may never know the answsers unless I actually find a brand new one. On to the research! I used the Sonia Kashuk bent-angle brush to apply this Wet 'n' Wild Cream Liner. I am pretty sure that there was a brush included in the original packaging, but I didn't receive it. That was fine with me, since I have come to love the Kashuk the best of all the liner brushes I have. The color loaded very thickly on the brush and I had to push it against the edge of the inside of the pot to smooth it out on the brush. Application was a breeze! The liner went on with dense, rich color, and needed no touching up or filling in. 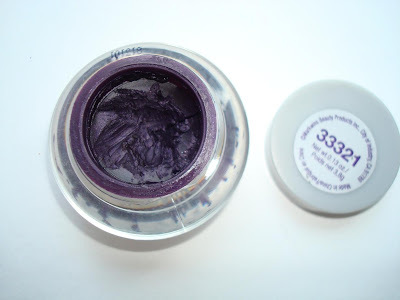 I could see the purple very well, this liner didn't go black or dark at all, and I loved the color with my dark brown eyes. I'm beginning to use all of these liner products in colors, rather than just black (other than MAC Fluidlines Nightfish, which is a warmish black.) I still haven't found the absolute perfect black in gel liners yet. In terms of staying power, I'm really pleased with the Wet 'n' Wild. It stayed all day, did not chip or flake or fade. At the end of the day, the color was still vibrant and the line was still even and clear. One swipe of a L'Oreal Skin Genesis facial wipe and it was easily removed. Wet 'n' Wild wins a solid 8 rating in the Line Up Rating Scale. I'd give it one more point if it were not for the plastic jar, but then again, this is a company that offers some of the lowest-price products in the drugstore lines. Retail price was somewhere around $4 USD. Imagine a Buy One Get One Free sale on these! No wonder there are none to be had anywhere. I am sending out an appeal to Blogdorf readers, if you see the black shade in your local drugstore, please grab it for me. Grab one for yourself as well, and if you like the purple shade, try the Eggplant color. I'm waiting to hear from you! Revlon: Buy 1, get 1 FREE on face or eye makeup Mail in Rebates available on matte collection lipstick, matte collection eyeshadow and matte collection blush or eyeliner. 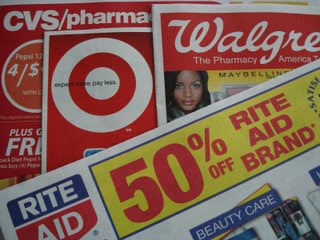 Neutrogena: Acne or cleansing products are $6.99 with CVS card only. This excludes kits, devices and Rapid Clear fight and fade 3 pack. 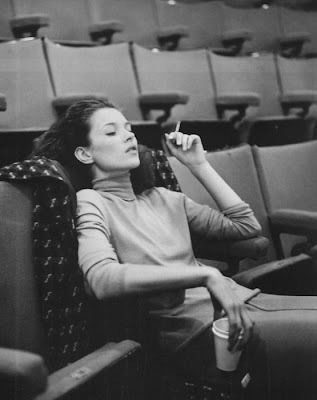 For perfume junkies the wait for John Galliano's fragrance has been quite long. Rumors have swirled for years and there have been debates on various beauty boards. Which direction will he go? Will it be an incense like his Diptyque candle or will it be a grand floral explosion ? I never knew what scent recipe to root for. I imagined that it would be like a Galliano-ized Dior gown. The right mixture of exquisite beauty and craziness. I assumed that the ingredients would range from iris with added sprinkles of leather and spice. A mixture of couture with naughtiness. It is a slight surprise that the reality is a mix of violet and aldehydes. It is far from wicked and is quite prim and proper. The main star of the show is a sugared candy violet. The violets are sweet with a strange baby doll head effect. It could be off-putting to many. The iris note is very exceptional. It has a Chanel-like quality. The aldehydes are strong and bright like Bond's Broadway Nite. The drydown is very similar to the discontinued Barbara Bui signature fragrance. A lovely mixture of powdery woods. It is nothing unique or mind blowing. I really expected to be smitten with his first launch. The bottle is a hot mess but the box is adorable. It launches in the US in 2009. The prices will range from $158 to $126. Disclaimer: This product was gifted to me by a friend. Happy Holidays from Blogdorf Goodman! The sneak peek into Chanel Spring are hitting the blogs. It looks promising with a violet nail polish and a lippie compact. Mr Phillips was inspired by sketches of gypsy dresses by Chanel. The collection is a mixture of fiery reds, deep plums and some shimmery taupes. The collection will be hitting your local counters in January 2009. My local counter already has the collection in stock. 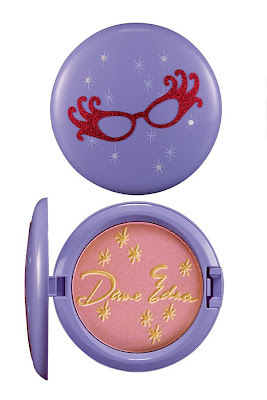 Cavewoman has reported that Liberty(a pinky beige shimmer) and Magic Night(a shimmery plum) shadows are to die for. Let us know if you spot the collection during your holiday shopping travels and let us know what you think in the comments. 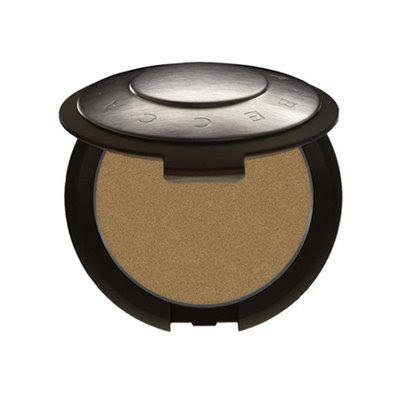 The compact pictured above will retail for $60. From Russia with love, I fly to you. Much wiser since my goodbye to you. In the midst of the holiday rush and weak economy, CHANEL snuck in a new nail lacquer collection that is sure to make beauty devotees smile. With a price point of $30 per bottle, that's up $10 from their previous retail of $20, it left me wondering what was so special about this Moscou Collection. For this trio, it's all about the sparkle. So, I splurged on Nuit and Feu de Russie. For starters, the Moscou Collection features sparkling, sultry colors--all three of which are nearly black at the base and feature a red (Feu de Russie), blue (Nuit de Russie), and gold (Or de Russie) microglitter. Secondly, this collection is only available at CHANEL boutiques and on chanel.com. I spent most of my Monday night refreshing the Web site when they put a placeholder up and I was unable to order by phone. Yes, new CHANEL polishes that sparkle are the perfect little indulgence this holiday season. Nuit de Russie is the gem of the collection. It's sparkle is as deep and captivating as the late Princess Diana's sapphire engagement ring. Upon close inspection, there are blue, green, and the tiniest bit of fuchsia glitter in a deep navy blue base color. Just lovely. Feu de Russia gives an overall sparkling merlot appearance. The base is a deep plum with red and bronze microglitter. In some light, this hue looks raisin, but in other light it sparkles like a fine merlot in a crystal glass. It's not red like a ruby due to the edgy bronze tone scattered throughout the lacquer. Because of the inflated price point, I opted not to purchase Or de Russie. While it's certainly beautiful the way the gold glitter in the deep base cast an olive glow, it's just too similar to the new China Glaze Wagon Trail to justify the steep price. For me, China Glaze polishes wear better than CHANELs, and that's important when you choose such a dark color. If you want the look of Nuit for less, CND Blueblood is the closet that I have. This polish has been discontinued for some time, but if you already have it, you won't *need* this one. Of course, CHANEL Blue Satin is also similar, and it's not really necessary to have both unless you really love the look of the microglitter over the shimmer of the Blue Satin. Feu is pretty unique due to the raisin hue that it casts in indirect lighting. It reminds me a little of OPI Midnight in Moscow, China Glaze Branding Iron (from the same collection as Wagon Trail), and NYC Cognac Sparkle. I was thrilled with the chanel.com customer service. I ordered on Tuesday and had the order arrived promptly on Thursday morning. The box was wrapped in gold CHANEL paper with the most adorable black satin ribbon. The ribbon has white loops on the edges and says CHANEL in silver. I was probably more excited about the possibilities for this ribbon than for what was actually in the box. It's long enough to use as a headband, but would look so charming tied in a double bow on a ponytail this Spring with a simple white button front shirt with black pants or a pencil skirt. They also include a Rouge Allure lipstick sample that is a perfectly neutral pinkish brown. I love when samples are so wearable. And mentioning the ribbon, gift wrap, and lipstick first should not diminish the goodness that is the box itself. This substantial black vinyl wrapped box with the white CHANEL logo is the perfect place to store nail implements, eye shadow quads, or even jewelry. I almost feel sad that I already sent Annie her holiday gifts early because this gold CHANEL wrapping paper is so cute that I feel compelled to reuse it. And although I felt a little bit of pain spending $30 a piece on the polishes, I should note that the shipping and gift wrap is free on the Web site. I got a sneak peek from my local MAC counter girls. The items that I placed on hold were Gladiola lipstick. This is a matte mid toned blue pink that screamed to come home with me. I was instantly smitten. It is gorgeous and might be the best pink lippie ever. The next item is Hot Frost Lipglass. It is a carnation shimmery pink. 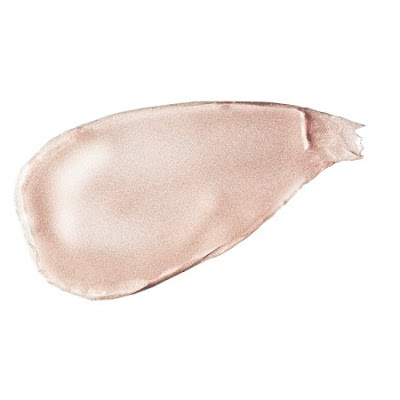 The Hi-Light powder in Spectacular is a whispery pink. 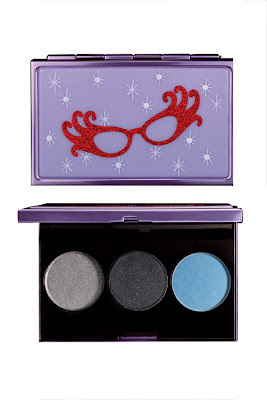 The eye trios are quite pretty with Climate Blue making a return in the Royal Tour trio. 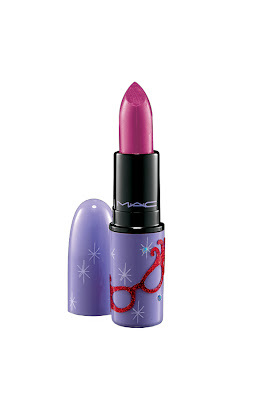 The collection will be available at your local MAC counter on December 26 2009. Let us know what you think in the comments. 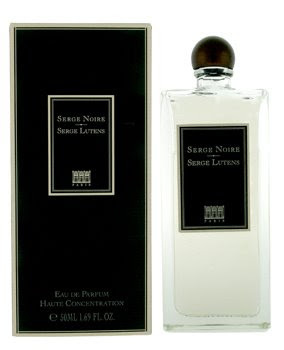 I am generally a fan of anything from the house of Lutens. I own many including two precious bell jars. So it brings me great pain to diss Noire. This fragrance is quite foul. And not a grand and interesting foul like Tubéreuse Criminelle. I hate comparing this scent to body odor. It always feels like a cop-out or a simplistic description. But it is pure BO on a hot sweltering day. It has all the notes I love from leather to smoke. But that opening note just sinks into your nose and just makes it wrinkle like Samantha Stephens in disgust. It is available at Barneys and Aedes and is priced at $140. I have been testing this mascara for the few weeks. It has the rubber brush that I have come to love and depend on. This brush delivers great seperation and length action. You have read my complaints about having short stubby lashes. This mascara really does make my lashes appear long and fan-like. It has exceptional anti-smudging properties and resists clumping. I was impressed with the no mess. This mascara delivers fair volume but no curl. I had to use my eyelash curler before and after mascara application. This makes all the difference. I love the bento-like palette containers. The seperated compartments for shadows and lippies is sensible and good design. The 4 lippies range from a muted dusty mauve to a boozy burgundy. There is no shimmer or shine. The pigment is whispery yet evident. The bottom compartment houses neutral shimmers. There is a gray taupe that will catch the eye of taupe lovers. It is limited edition and retails for $60. 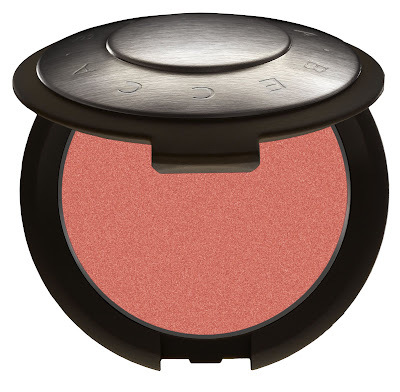 Disclaimer: A press sample of this product was provided by Bobbi Brown. The Bergdorf Goodman SA sold me on the Smoky Layers Lash set by a uttering a simple sale pitch. Madonna wears this set every day. I have no clue on application techniques. If you have any helpful advice please share in the comments. I am a false eye lash virgin. Saks Fifth Avenue is having a Fragrance Friends and Family event from 12/12/08 through 12/14/08. The discount is 15% off and the code is SCENT. This event is also happening at Saks stores. Just ask a sales associate for details. 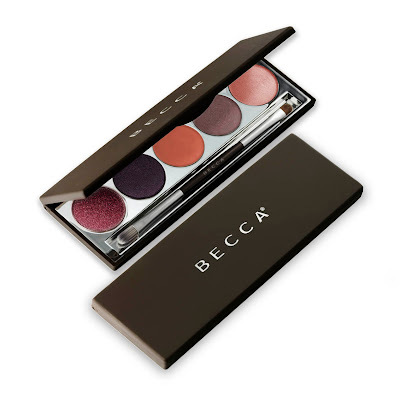 and all I want for Christmas is BECCA's Santa Rosa Collection! Just wanted to share a quick peak and the new Aurora palette, eye tints, soft touch blush and other goodies from the collection as well as the FF code. 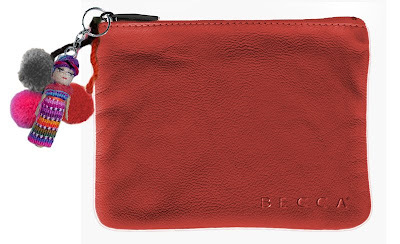 BECCA's elves are now feverishly working to unpack the new Santa Rosa Collection and update their website but the Friend's and Family has begun as of today! So enjoy these pictures curtsy of BECCA and don't forget to use FF1108 at checkout! It is 20% off of entire purchase. This is a video that won a Yes to Carrots facebook contest. The brand asked consumers to make a video around Barack Obama’s “Yes We Can” speech and Yes To Carrot’s positive messaging. The result is something adorable. 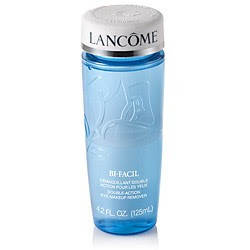 Lancome will be making it's television debut on the Home Shopping Network this Thursday at 3pm. 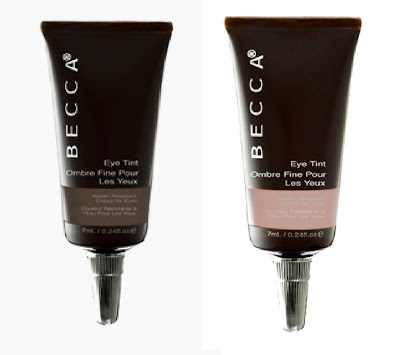 Products will range from Oscillation mascara to Bi-Facil eye makeup remover. This remover was highly recommended by Blogdorf readers. This might be the product I cave on before 2008 ends. HSN will be offering flexpay and free shipping and handling.